Egg lovers, do we have the recipe for you. 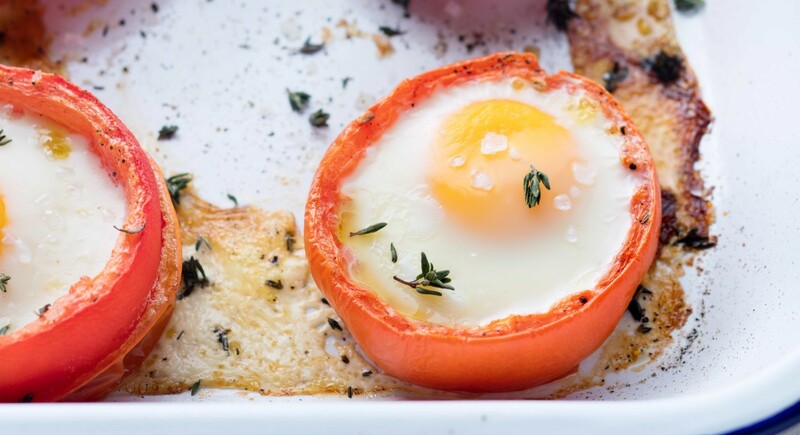 Roasted tomatoes make an ideal vessel for baking eggs, and allow you to lock in a perfectly creamy, runny yolk without the hassle of poaching. The dish is ideal for breakfast or brunch, but also makes a great light lunch alongside a simple salad. Slice off tops of tomatoes and scoop out and discard pulp and seeds. 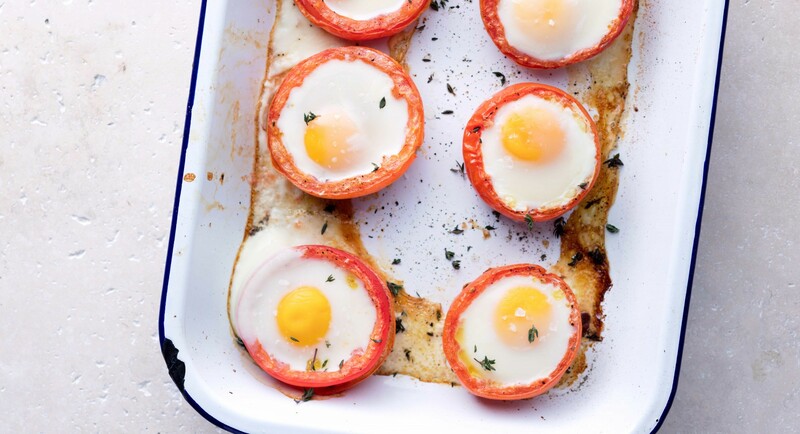 Place tomatoes on baking sheet, drizzle with oil, and season with salt, pepper, thyme, and sliced garlic. Roast in oven 35 minutes. Crack one egg into each tomato, sprinkle with salt and pepper, and return to oven, 7 to 9 minutes, or until the whites of the egg are set.